Here at Socialbrite, we are thrilled to share the launch of New Power! We have long admired Henry Timms’ leadership and vision as president and CEO of the 92nd Street Y and co-founder of #GivingTuesday, an international day of philanthropy. Henry Timms and co-author Jeremy Heimans worked on this book for three years. 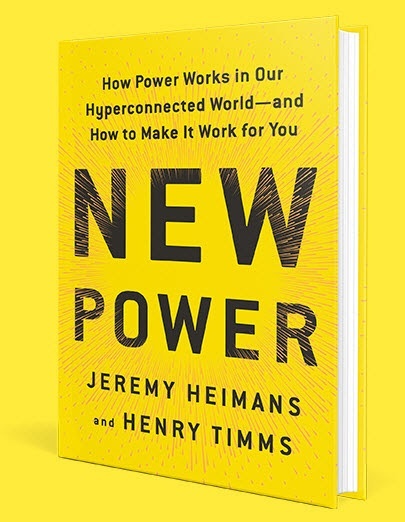 It unpacks the ultimate skill of the 21st century – the ability to harness the power of the connected crowd. From how to spread your ideas, to how to start a movement, to how to transform an organization, it is a practical guide to navigating our chaotic world. A wonderful read for any activist or nonprofit leader looking to better understand, navigate, and thrive in the world they live and work in. 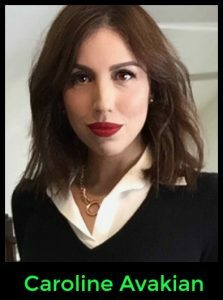 You can purchase the book here: New Power Caroline Avakian, Socialbrite’s Managing Partner, is a global development communications strategist in the New York City area with a focus on strategic communications, technology, and innovation. Contact Caroline by email, see her profile page, visit her website, follow her on Twitter and Google Plus or leave a comment.